WhatsApp has a couple of new features up its sleeve for its Android, Windows, and iPhone apps. Two of them impact how notifications work, while one links your WhatsApp account to other services. Starting off with Vacation Mode, this tool is under development at the moment. According to WABetaInfo, WhatsApp’s been working on it for a couple of months and it’s unclear when it’ll leave the company’s testing labs. Vacation Mode pops up as an option in the Settings menu under Notifications. 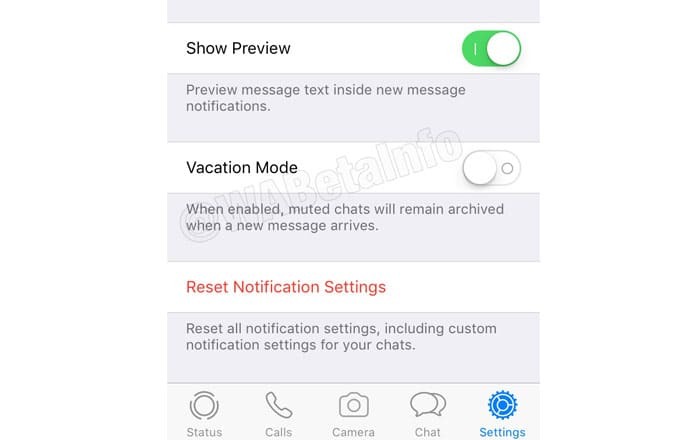 As per the leaked description above, if a person enables the option, muted chats will stay archived even if a new message arrives. At the moment, even if a user archives and mutes a conversation, the chat will reappear in their main window if a new text pops up. This can be very annoying if an individual is trying to avoid a contact or group, especially if they’re on vacation and don’t want to be interrupted with “Good Morning” WhatsApp forwards. While the feature is called Vacation Mode, it can be used in any scenario as a sort-of ‘vacation’ from people. This way, a person will only be able to see a muted and archived WhatsApp chat if they specifically go to their archives. This is a much better solution than the present system which forces users to re-archive the chat every time a fresh message appears. WhatsApp has also activated a new tool called Silent Mode for its Android base. It’s active by default, so people won’t have to do anything to flip the switch. Thanks to the addition, they won’t see a red badge counter for muted chats on the WhatsApp icon. Right now, muting a chat only silences notifications for it, but not the badge. A user would thus see the badge and think there’s a new message waiting for them, only to find that it’s just a text from a muted contact or group. Finally, Linked Accounts isn’t available to anyone yet. It seems WhatsApp Business is the main beneficiary, but even the normal app benefits from the change. 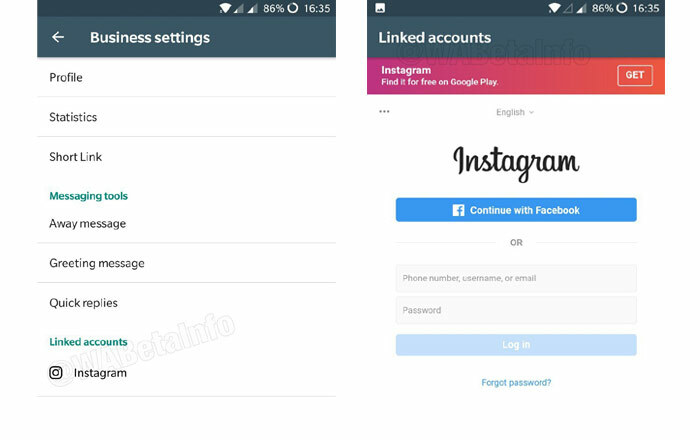 A quick trip to Profile settings will allow folks to connect their WhatsApp account to an external service like Instagram. It’s not immediately clear why you would want to link WhatsApp and Instagram, but it probably has something to do with crossposting Status updates. WABetaInfo even suggests that it could help recover passwords.